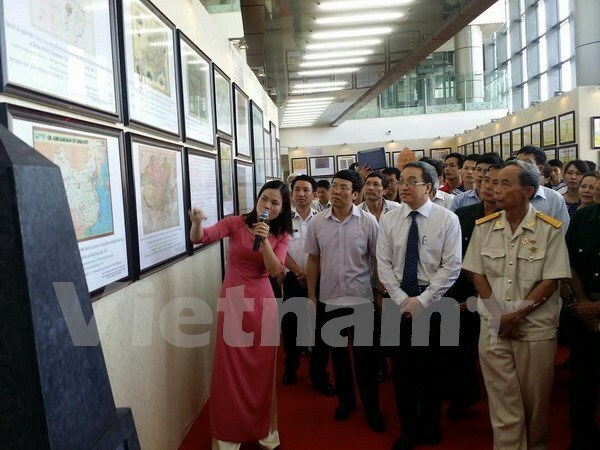 Vinh Phuc (VNA) – An exhibition on Hoang Sa (Paracel) and Truong Sa (Spratly) archipelagoes opened in the northern province of Vinh Phuc on June 2. Among the exhibits are official documents dating back to the Nguyen Dynasty (1802-1945) on the archipelagos’ geographical location and natural conditions and documents from China and western nations on Vietnam’s sovereignty over the islands. Photos and paintings on the nation’s seas and islands as well as dozens of stamp collections are also on display.